Dr. José Medina is an education advocate and dual language education expert. Dr. Medina is a co-author of the book Guiding Principles of Dual Language Education, Third Edition. He is also the Founder and Chief Educational Advocate of Educational Solutions, a consulting company that focuses on providing a broad range of support to educational entities to meet the needs of language learners throughout the United States and internationally. I reached out to him to learn more about the C6 Biliteracy Instructional Framework, a lesson planning framework that he developed to help school leaders and teachers working in dual language programs. Q: Tell me about why you developed the C6 Biliteracy Instructional Framework. There were two main reasons why our team decided to create the C6 Biliteracy Instructional Framework. First and foremost, we wanted a lesson planning framework for dual language teachers that fully aligned with the three goals of dual language: 1) bilingualism and biliteracy, 2) grade level academic achievement in both program languages, and 3) socio-cultural competence. And...there wasn’t something specific for dual language teachers that was easy to follow and that really captures everything that dual language teachers need to do in the classroom. The other reason why we developed the C6 is because we wanted to also align with the Guiding Principles of Dual Language Education, Third Edition which was released in November 2017. As one of the co-authors of this resource—which is really the most widely used resource to implement and continuously improve dual language programs around the country and internationally—I wanted to make sure that everything that teachers were doing really was attached to all of the new research that has happened in the last decade, and also all of the new recommendations based on that research. And, we felt like administrators were walking in classrooms where dual language instruction and biliteracy instruction was taking place and they didn’t have the tools to effectively support the teachers that were in the classrooms leading those lessons. So, the C6 Biliteracy Instructional Framework, although really helpful for teachers—[also helps] administrators [because] it becomes something concrete that they are able to use in order to support the teachers that are in their buildings. Q: Why focus on school leaders? Often instructional leaders working in dual language programs or [schools] serving emergent bilingual students [think that] is really something that is done in isolation or has been passed on to a teacher or an instructional coach. And, having lived that life [of an instructional leader], I felt like we really needed to focus on educational leaders because how is it that a teacher is supposed to facilitate instruction in a dual language classroom but yet the administrator that provides support to the teachers is removed from what should be happening in the classroom? So, the C6 Biliteracy Instructional Framework really attacks the problem on all sides. Q: How is the C6 Biliteracy Instructional Framework different from other resources? Other resources are more focused on transitioning kids from their native language(s) to English, so really to provide support in a traditional monolingual setting. The C6 is different because it goes beyond that and it is an additive framework for an additive dual language program model. I don’t know of any other framework that is fully aligned to the Guiding Principles for Dual Language Education and to the three goals. Also, those other frameworks are cumbersome sometimes, and there are so many components and sub-components that it becomes overwhelming for the teachers to lesson plan, but even more overwhelming for administrators to want to be a part of that process. With the C6 Biliteracy Instructional Framework, you have six Cs that really drive everything that should be happening during the lesson planning process. Q: Which C is the most challenging for school leaders? First, there is not a lot of professional learning for administrators and having been an administrator it is one of the major focuses in the work that I do. Educational leaders really need to receive professional development that includes job embedded coaching and support. 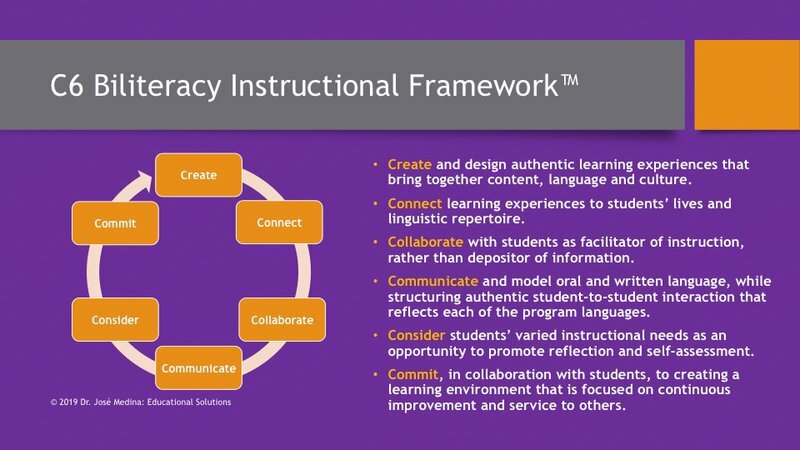 There are several school districts around the country and around the world that are already piloting the C6 Biliteracy Instructional Framework with administrators. This way administrators are using the tool to provide support to teachers as they are facilitating instruction in the classroom. I think that is a challenging piece to get your head wrapped around—the fact that administrators need to know biliteracy instruction and the three goals of dual language and what that looks like and feels like. I think it is the last C—which is for commit. The bottom line is that school administrators and district leaders who do not understand dual language programming and instructional best practices, and are unwilling to learn and grow in this area, negatively impact the success of the dual language program. If administrators do not advocate and collaboratively guide such programs, a lack of fidelity to the program model usually follows, and ultimately, academically hurts the students enrolled in the dual language program. Commit also applies to directors at the state level, superintendents, [and] board members, if those folks don’t believe in dual language, then they best move out of the way and make space for someone who will believe in dual language because that advocacy piece is so important in dual language. Q: What is your most valuable consejo/advice for school leaders? Some of my school principal and assistant principal friends, when I say this out loud in professional learning, me miran raro, they look at me weird. They eat me up with their eyes, but I really feel like as a principals, assistant principals, and directors they really need to be in the classroom. As a principal, I would actually make time [for it] and it was scheduled in advance. I used to go to classrooms and facilitate guided reading groups or I used to co-teach a math lesson. [Teachers] knew what grade level I was going to be providing support weeks in advance so that we had a chance to collaborate and co-plan on what I was going to be doing. Until students, parents, and teachers see principals, assistant principals, and those working at the district level as instructional leaders specifically in dual language programs, we are never going to have the movement and see the benefits of biliteracy instruction. Un consejo para todos los administradores, ¡A la clase, todos a enseñar! To the classroom, everyone teach! Q: What are the key policy considerations for dual language programs? We need to take it to the local, district level first, I think there is most imperative. There needs to be school board policy that really supports dual language and biliteracy instructional practices. Often those who are making decisions about instructional strategies, curriculum, assessment—they have no clue about dual language instruction because their focus is a monolingual traditional setting, so that negatively impacts dual language programs. 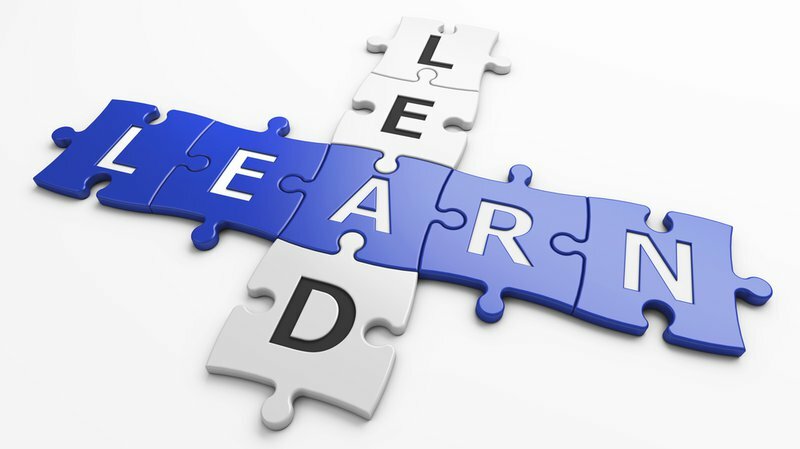 Additionally, we need to inculcate into board policy—professional learning for administrators. That is in there for teachers specifically but it is not usually for administrators. How are dual language administrators supposed to grow, if they don’t have some kind of professional learning community at the district level that really provides that ongoing job embedded support that is needed to really bring those three goals for dual language to fruition? Also, at the district level, board, district leaders, superintendents, they also all need to continuously be growing in the area of dual language. At the state level, I think that a lot of work is been done in some states to really move the conversation from transitioning kids to English to adding English and other languages to students’ linguistic repertoires. But, I would love for us to move away from using terms like English language learners to [using] emergent bilinguals or emergent multilinguals students because that is the reality of the global society that we live in. That is something that I really push as I facilitate services around the country and internationally.